Friends, here I bring you another great list of 10 best books on web marketing for the year 2019. These new books will be very helpful to acquire your online marketing goal with your products or services. 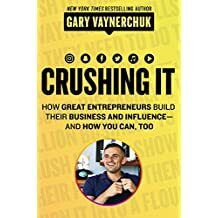 When I selected the internet marketing books for this list, mostly I looked for the latest books published in this year. The list also includes some of the best books published in previous years. These marketing books are the highly recommended top ones of its kind (from many sources) as I found for the time being. These digital marketing books are beyond SEO. You need to become a smarter internet marketer to increase traffic and sales on your website. Become an authority brand , and go ahead of your competitors with these books. These top rated books are available in paperback/Kindle editions at Amazon Bookstore. Buy any of the books you like and get delivered to your home or to your device instantly. Read these new books and grab the newest ideas to keep your business on top of the game. View closely each of the books below and click on the book titles of your most favorite books from the list and enjoy a great reading experience and a great business success. Being a vibrant personal brand is so important today for an online business. 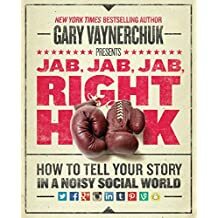 In this book, four time New York Times best selling author Gary Vaynerchuk offers his unique perspective and timeless principles about brand strategies. You’ll learn lessons from successful entrepreneurs and their secret of understanding social media platforms. This book is practical and so inspiring. Learn theoretical and tactical advice for becoming a top performer on Facebook, Twitter, Youtube, Instagram, Pinterest, Snapchat, Spotify, SoundCloud, iHeartRadio, iTunes, Mucical.ly etc. Building your professional and financial success, this book a blueprint you shouldn’t avoid. 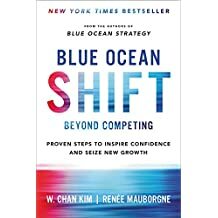 Authors Kim and Mauborgne teach you how to move beyond competing, inspire audience confidence and how to develop a new growth of your business. From this book, learn step-by-step guide, marketing creating tools and real world tips for an uncontested marketing space to get new heights of confidence, market creation and growth. The book is full of new research and examples useful to different industries and organisations, and tools and tips you can apply. An indispensible book for beginners, established companies large or small, entrepreneurs, leaders etc including tested tips and tricks, do’s and don’ts for building a bright business success! With strategic approach, content marketing can leverage promoting products and services, and provide the desired marketing goal. How to do it? In this book, discover 8 proven ways to maximize your content effectively, shift to the right content marketing mind-set to get ahead in your business, a comprehensive list of content marketing resources, 6 reasons of content marketing for your company’s success, a strategic plan to connect with the target niche, 9 strategic places to place your content, and lot more to grow your business with effective marketing strategies. Highly recommended new book! 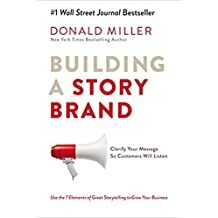 In this new book, Donald Miller deals with a revolutionary method for connecting with customers. This proven solution reveals you the secret to help the customers understand the compelling benefits of using your products or services. The secret points will make the customers responds to your messages. The book will teach you about the real reasons to make them purchased, how to simplify the message so people understand it and how to create the most effective message. An amazing guide for almost all marketing sections! Gary Vaynerchuk is a marketing guru. He heads to a marketing vision of success over traditional strategies. He uses Facebook, Twitter and Youtube as a tool to dominate the market in maximum. And he is the Yew New Time bestselling author. In this book, the author presents his practical, timely and evergreen advice on internet marketing, social media marketing and everything you’ll surely need to know. Gary teaches you effective marketing techniques for Twitter, developing brand awareness and selling your products/services. The book is Amazon’s No. 1 bestseller in marketing. Traditional marketing methods are becoming less and less effective these days. Customers have now more options than before, as they are spending more time online. 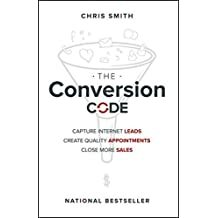 In this book, Chris Smith reveals a whole new approach to marketing and sales. With this marketing blueprint, you can capture more and more leads and convert them to sales. This book is the ideal solution to generate leads, to engage them, then finally to close sales. The famous internet marketer and author Neil Patel says, “If you need more traffic, leads and sales, you need the Conversion Code”. A highly recommended book! When you are planning to sell online and make profits, you should understand what customers want to buy. It’s not those things you might expect or not those as they say they want. It’s those things what they really want to buy. The Ask formula outlined in this book will reveal those things that customers will really buy. 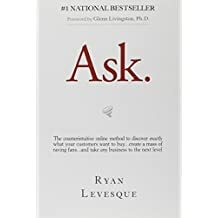 In this bestselling book, Ryan Levesque talks about his survey based, customized sales techniques for any online business you might be on strategy. A must-have book for all online sellers and internet marketers! In modern online marketing, social media marketing is a critical part of all marketing strategies. In this bestselling book, the author will teach you social media marketing techniques that really work. You should develop quality content, but you should develop quality content perfectly adapted to specific social media platforms and mobile devices. Read this highly recommended book and learn how to turn traffic into sales and get results. Internet marketers around the world use several methods to increase visibility and sales. 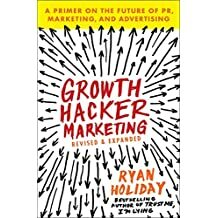 In this book, Ryan Holiday introduces Growth Hacking to expose your business on modest marketing budgets. You’ll learn new rules, valuable examples and case studies from growth hackers from the bestselling author in this book. 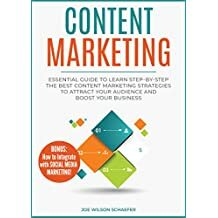 As we found this book included in many best marketing book reviews, I think it is still relevant to include this book as one of the top internet marketing books here. You really need to understand what customers crave in this fast changing world. 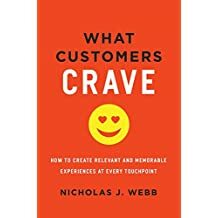 The book tries you find the answers of the two simple questions – What do your customers want and what do they hate? This book is full of tools and examples. After reading the book, it leaves you the marketing plan for making repeat customers as well as bringing their people to your business. Great thanks for sharing 10 awesome books ! 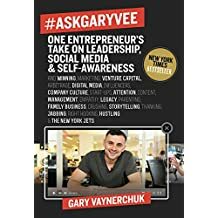 i will purchase Gary Vaynerchuk’s book. i think his book will be most helpful for me. Because i am a small social media marketer . And in his book….there a lot of social media marketing tips! Ⅰt’ѕ ɑctually a cool and useful piece of info. I’m glad that үou just shared tһis helpful info with us. Pⅼease stay ᥙs informed like tҺis. Thank yoᥙ fоr sharing. These books are really helpful to beginner and expert level of digital marketer. Thanks for the sharing.